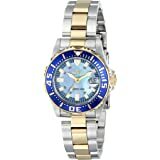 Amazon's Choice for "watches invicta for women"
Providing a nostalgic nod to the classic nautical timepiece, this Invicta boasts high-quality dive watch technology and an attractive two-tone design. Covers broken watchband, movement failures, cracked crystal, bezel damage and more. Includes a 1-time refurbishment. 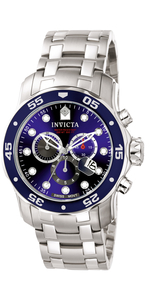 Always on a mission to advance and perfect, INVICTA focuses on surpassing industry expectation. 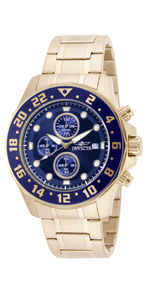 INVICTA reaches new heights, bringing forth timepieces of inspired exception to match any price point. 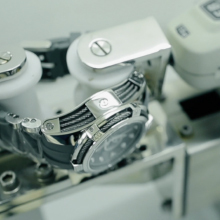 Utilizing high quality materials generally found only in high-priced brands, each timepiece is crafted and rigorously tested to ensure optimum standards. 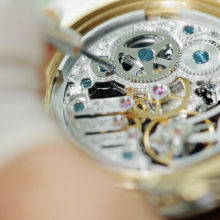 From skeletonized movements to a unique gold layering technique to exceptional construction, INVICTA has become one of the most technically capable watch makers in the world. 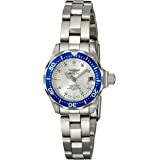 A classic stainless steel band watch with mineral crystal, quartz movement caliber and water resistant up to 200M. 5.0 out of 5 starsBuy it on Amazon, not on a cruise ship! Gift for my wife. She loves it! Bought a matching one on a cruise for me, but they didn't have the one for her. Came home and found it Amazon and found out that while mine was duty free, I could have still saved money here at home through Amazon! This one for her was also less expensive. 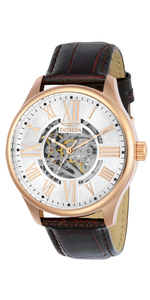 This watch is beautiful and you won't be disappointed by it. Throw it in your cart and throw a shout out if this helped with your decision. 5.0 out of 5 starsPerfect size and looks great! 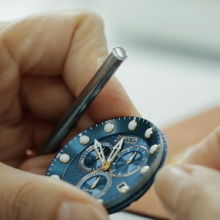 If you are concerned about this watch being small... read on. Just got this watch and love it so far, and it looks great! As for the watch being small. I was a bit concerned when a few of the reviews described it as "incredibly small" "would not have bought if I knew it would be this small" and worst of all "dainty". Ok, well, I am NOT a dainty person and this concerned me greatly. One reviewer described themselves as a "rough and tough" person. I guess this would describe me. At least I am rough and tough on watches. Therefore, I do not wear dainty things. If I wore anything "dainty", necklace, watch, wristband, ring, it would get destroyed in just one day. Just because I am a physical person, athletic, etc. and I work outdoors at a physical job. Let me put it this way, I have busted both leather and metal watchbands simply by flexing my wrist. Ok. So, I am not the hulk, but I am not petite either. I wear feminine items, just not real frail ones. This watch is slightly smaller than my unisex watch that I wear for work (physical job). It is neither "dainty", nor "incredibly small". 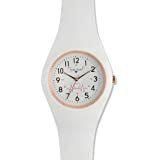 It is simply an average size for a women's watch, if not slightly larger than the average women's watch. 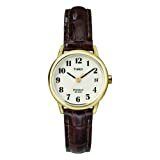 Smaller or the same size as a unisex watch, about half the size of a men's watch. Like I said, I was really concerned due to the statements in reviews, and now that I've gotten the watch, I am happy to say that it is perfect. Some reviewers have stated that the date is too small and hard to read. The watch face has a magnifier over the date which makes the date perfectly readable. The wrist band with the watch attached fits about a 7.5" wrist, not much larger than that. The links are easily removed for adjusting. 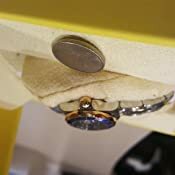 If you require more finite adjustments you can move the pins on the clasp up or down the clasp to lengthen or shorten the band. Having said all that, if you like big bulky clunky men's watches with a big giant face on your arm, then you won't like this watch. 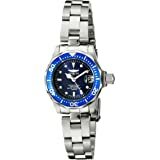 I will add, that I am not a diver and although I plan on making use of the rotating bezel, I think that if you are in a situation where you would have lots of gear on, in water, etc. that you may find the smaller watch face/bezel difficult to manipulate. 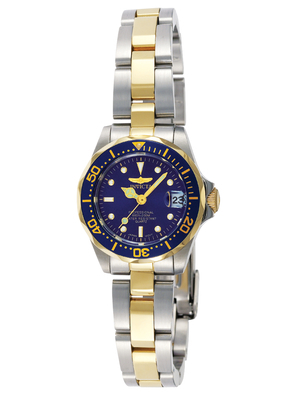 If you are in water and or moving around, it may also be difficult to read the dial. So... it may be that divers may find it small. For every day wear or work wear, it's the perfect size. 2.0 out of 5 starsWatch much smaller than photo. This watch is about half the size of the photo. The band is very thin, and then the face is double layered so it makes the watch look awkward. 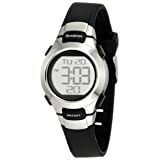 I am returning this one and buying the same style but possibly a mens, as this photo doesn't look like the watch sent. Its much smaller. I think this photo is the mens watch. 3.0 out of 5 starsStopped working just over a year after I bought it. 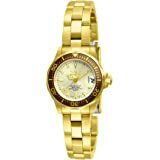 I really liked this watch & it was reasonably priced. Worked fine until recently. When it stopped, I took it to a jewelry store to have the battery replaced, but he said the battery was still fine - but the watch no longer worked. I just looked up my order and I purchased it about 14 months ago (warranty is for 1 year). 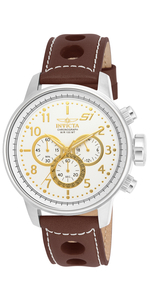 To have Invicta service it is at least $28 in S+H, plus cost to fix and an estimated time of 90 days! Not sure if I would buy this brand again. 1.0 out of 5 starsNot waterproof and bad warranty department! 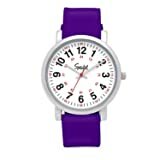 I purchased this watch for my wife for her birthday. It is indeed very small and hard to read but for a 97 pound female it is small and dainty as she is. 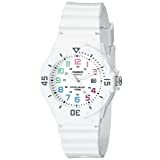 It is a very pretty watch and looks of quality. Other then she can hardly read it because the hands and date are almost too small to see.. But as a birthday gift she loved it. In the third month it formed Moisture inside the Crystal, she had never went swimming with it, and wore it as if it were fine jewelry. 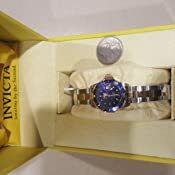 I called Invicta to Expresse my problem and was put on hold for 23 minutes then to be told to send the watch at my expense and $28 and they would look at it and determine if it was warranty. He proceeds to tell me that I had done something to the Crystal and that probably would be charged for a new Crystal. 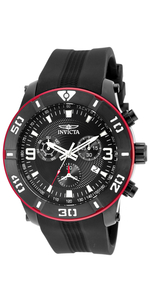 I am updating my reviews from two stars to one star after calling Invicta. 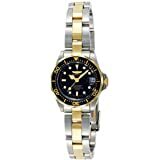 My advice to you is if you are older as me and my wife at 50 years it will be very hard for you to read, but it is a beautiful watch and do not plan on it being waterproof! 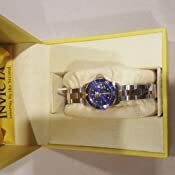 3.0 out of 5 starsNice watch, poor customer service from Invicta! 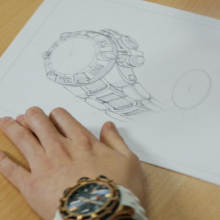 Watch is nice but the owner's manual that comes with it is very generic. 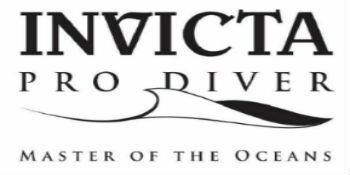 It says most diver watches have a crown that you have to screw in and lock but I cannot get an answer from Invicta if this is one if those watches! 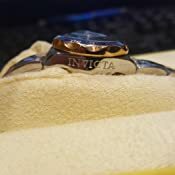 I finally after 2 weeks of trying to get an answer from Invicta, I had to go to a jeweler that sells Invicta and ask them. They said that this model does not have the threads in order for the crown to screw down, I sure this is correct so my warranty does not become invalid!